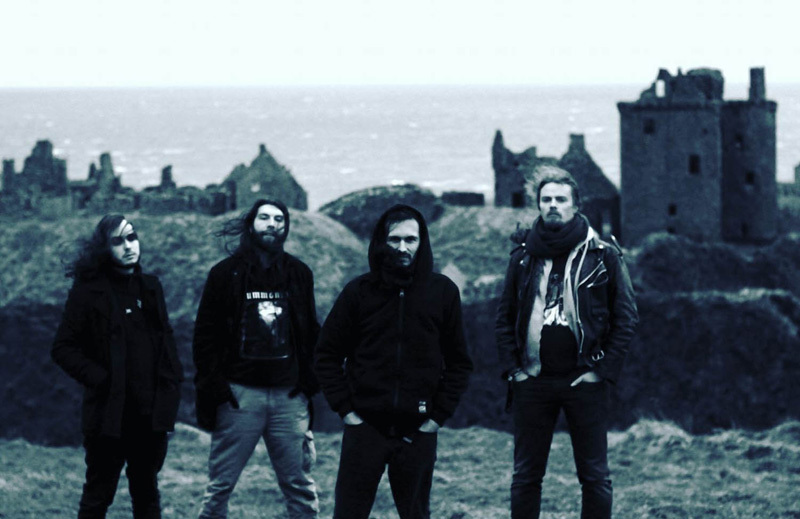 Arriving from Glasgow, and formed a mere two years ago, Scotland's Midnight Force hit the metal underground running. They've dropped a demo, EP, and single in advance of their first long player, Dunsinane, named from the location in Shakespeare's MacBeth. Additionally, the band has put their DIY work ethic to performing at venues and metal festivals from the UK to Germany. Midnight Force essentially wears their metal influences on their musical cut-off denim vests. Their metal is traditional, gathering musical and lyrical themes common to the New Wave of British Heavy Metal (NWoBHM), but also Eighties American epic classic metal by Manilla Road and Virgin Steele. For fans of "keep it true" prime heavy metal, you can probably stop reading and invest your coin in the Dunsinane and be satisfied. With eight songs to fit vinyl length, Midnight Force offers the familiar musical traits of trad metal. The most notable are John Gunn's clean vocals with some Halford-ish screamo, the galloping pace with its strong bass line, the significant gang bgvs, and the abundant and efficient guitar solos from Ansgar Burke. More brisk and brief songs come with Down With The King, Alesia Falls, and the slightly longer Killer, with its Priest The Ripper lyrical motif. For more epic, and longer, heavy metal tunes ala Virgin Steele listen for Crystal Talon and the title cut, Dunsinane, where Midnight Force attempts a more historical perspective of the real Scottish King MacBeth. Finally, the overall production is of some interest, having an earthy more organic feeling than many of today's modern metal recordings. 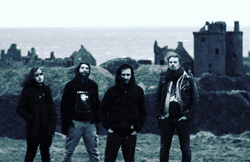 All in all, for a modern presentation of traditional and classic heavy metal, with Dunsinane, Scotland's Midnight Force hit the nail on the head. Recommended for those metal fans keep their metal true. 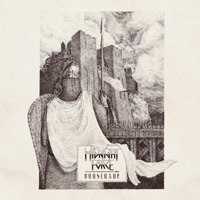 For a modern presentation of traditional and classic heavy metal, with Dunsinane, Scotland's Midnight Force pretty much hit the nail on the head. Recommended for those metal fans keep their metal true.